Dewqs` No More Spam! 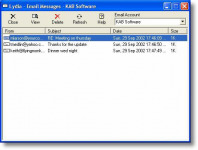 [now called JunkWarden] is a spam screener for Microsoft Outlook. It detects spam as it hits your IN-box, and stores it into a Quarantine folder. Reporting occurs when you decide. 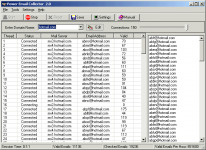 You can also analyze the contents of any Outlook (email) folder box manually, and produce a folder report. 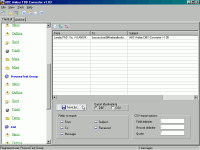 You can then empty the quarantine folder at the touch of a button. Its powerful heuristic engine, with an integrated statistical dictionary of over 5000 words and expressions, uses fuzzy logic to analyze the contents of your email. 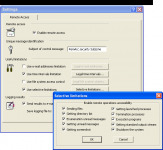 Advanced settings and filtering options can be used. NMS protects your Outlook Address-Book entries. And if you don`t use Outlook, try our sister product, Dewq`s No More Spam for Outlook Express! New For non-English speakers: Can block any email written in English! Nuevo: puede bloquear todo mensaje escrito en inglesÃ Novo: Blocca tutti i messaggi scritti in inglese! Nouveau : peut bloquer tout message Ãšcrit en anglais ! Neu : kann alle in Englisch geschriebene Nachrichten sperren !